Nasal Congestion is a difficult time for our babies. When under the effect of Nasal Congestion, babies can’t eat, drink, play or sleep. They have trouble in doing each and everything and that actually troubles us mothers a lot. After lots of home remedies, as guided by elders and more of google searches, I wasn’t able to get a perfect solution. And it took me a while to actually realize that the Nasal Congestion and is getting worse. That’s when My kiddos doc suggested me to try these saline nasal drops, and trust me, after that it’s been a saviour. This was the first question in my mind and I asked the same to the doc. He Said : These help to decongest the nose and bring the much needed relief to the baby. He further added, Nasal Congestion Leads to many conditions, that in some serious cases effects babies growth as well. – Sleep deprivation – Nasal congestion does not allow a child to sleep peacefully, and therefore, the kids get deprived of sleep and feel drowsy. – Difficulty in eating/avoid eating – Due to nasal congestion, children tend to avoid eating or find it difficult or eat. – Mental and physical growth – Nasal congestion in some serious cases hinders mental and physical growth. Being a mommy I know the pain of having a cranky baby by my side and when I faced this issue initially my kiddo was just a few months. Children between the age group of 0-1 year are obligatory nose breathers. When they suffer from Nasal congestion, they have difficulty breathing. And at that time, Nasivion (Mini) Baby Nose Drops help my son to battle out a congested nose. A couple of drops is all that is needed to unblock the nose for impaired breathing. It comes in different strengths (0.025% & 0.01%) depending on the baby’s age. The doc prescribed us the 0.01% one and I had to give him only 2-3 drops for my problems to go away. After using Nasivion, I noticed that his breathing got better. He became significantly calm and was happily feeding and sleeping. My son is now 4.5years and Nasal Congestion still happens. I started with Nasivion Mini Drops and have now graduated to Nasivion Child. My savior has grown up with my son too and always keeps my baby and me happy. Disclaimer : I swear by these nasal drops, but I request everyone to consult a Doc Before Using it, just like I did. Very nice article for mothers and kids and a great product to ease nasal congestion to have sound sleep. Nasivion is something I carry always. It works like magic. A must have for all mums. 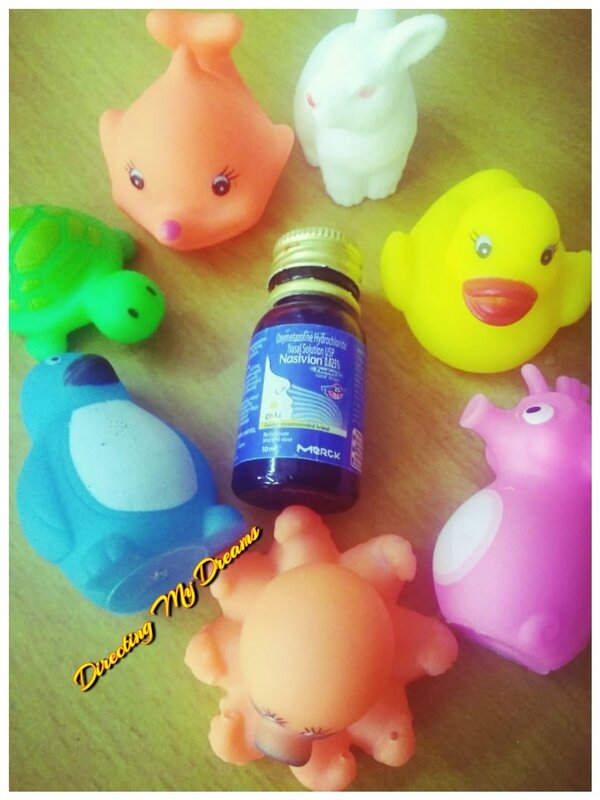 Amazing Nasivion nasal drops for kids. Nasivion is the trusted brand and quite affordable. This nasal drop is best for nasal pain relief. Great thoughts.